Nokia introduced three new mobile phones. The Nokia 1112, Nokia 2310 and Nokia 2610 expand Nokia's portfolio of easy-to-use, reliable and affordable mobile phones. All three models are expected to begin shipping during the second quarter of 2006. 2006. It will be available in all regions, except China. 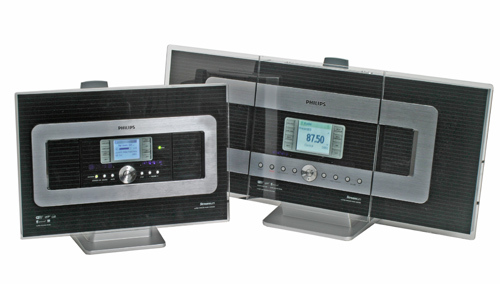 Jonathan Bray has reviewed this wireless music station from Philips, the WACS700/05. Philips' WACS700/05 music system is truly multi-room hi-fi for the wireless generation. Despite the niggles I loved the convenience of being able to access my entire PC’s music collection in several rooms in the house at once. 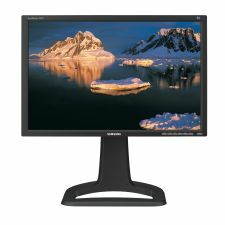 The system is very easy to set up at first, especially for those without a PC, and though it doesn’t boast the best possible sound quality for the money it’s by no means disastrous. I’d be happy to own one as a second music system – one for the bedroom, perhaps, and one for the kitchen. Sony recently announced a new version of MiniDisc players/recorder. The MZ-NH1 has a 1-line OLED display on one of the sides instead to display track information. 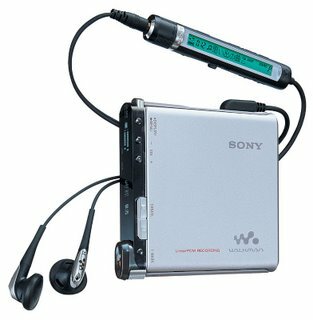 The new model has added MP3 format compatibilitty and the original MiniDisc format and audio recorded live. Now it's possible to use the player in combination with Apple-computers. The MZ-RH1 will come in Japan in late April for about $ 350. Kendra Wall reviewed this mobile phone from Sanyo.